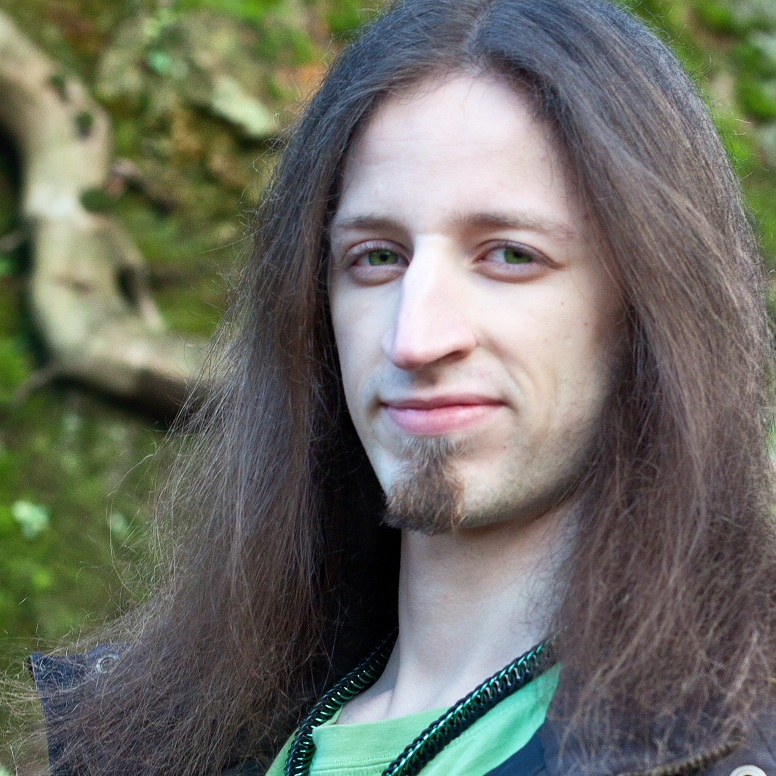 I am pleased to have another guest post from the talented Connor Cadellin Mckee, introducing his new story, A Cloak of Glass, a short prequel to his dark, dystopian novel Children of the Crater, which was released in May 2014. And lucky us, this one’s free to download. Thanks, Connor! It happened on the 19th of July, 2014. I was sitting in a Dutch coffee shop, a warm drink resting on the knotted wooden table before me. I was thinking not of drinking, but of stories. 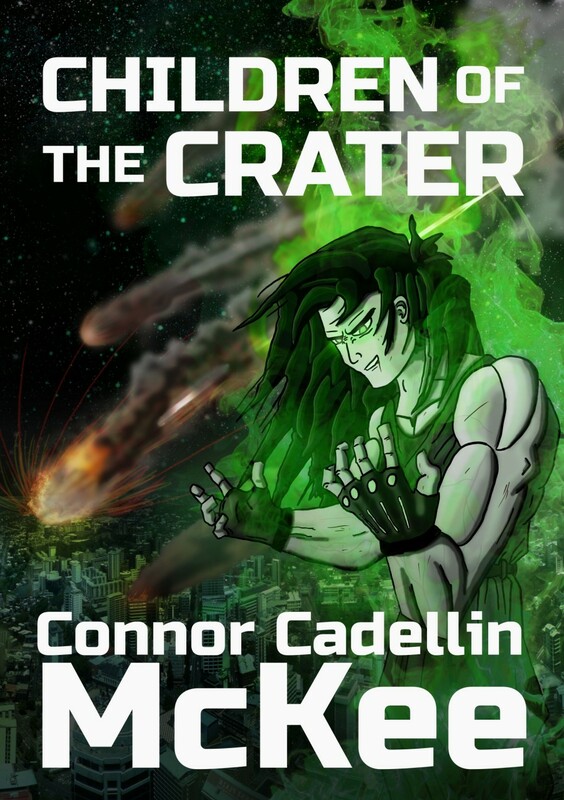 I wanted to write a prequel to Children of the Crater, that much I had worked out, but which characters to follow? One by one I ticked off Vanir in my head; many of my characters were simply too young to have much more backstory than I had already given them. At the moment my mind reached the twins, two identical women walked in and took a seat at the table across from mine. I said nothing to them, nor they to me; but the idea was planted. By that evening I had the story mapped out, and now here we are. 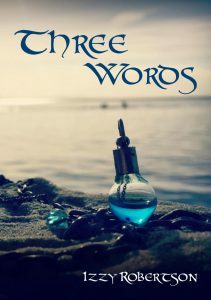 A Cloak of Glass has been released here on the internet (for free) via Smashwords. The twins are such mysterious characters to me, they are really fun to write about. Enjoy! This entry was posted in Uncategorized and tagged book, Connor Cadellin Mckee, dark, new book on September 1, 2014 by izzyrobertson. Five years ago, my 16 year old self had a dream. One of those really vivid ones that makes you sit up in the night and scrabble for a pen and paper because it was so vivid. Now, I used to write down an awful lot of these, but this one was special. My recollection was fragmented, but I had the important pieces. A man tumbling down into a crater ringed with riot police. Flying above the night sky, green flames writhing across my skin. A longhouse hidden deep in the jungle. It was fantastic; I wanted to meet these characters, learn their story. I used to do sketches from the more vivid dreams, and I got to work pretty quickly on this one. I tried making it into a graphic novel originally, but the sheer level of drawing needed for that dissuaded me. It wasn’t until that summer that I had the idea of writing it down on a computer. It weaved and shifted as the years went by; I continually chopped it up, rearranged it, threw in new sections, and it began to materialize from a myriad of different scraps of paper and text documents on my old laptop. And suddenly the release date is upon me! It feels almost unreal; I had never expected it to come this far. 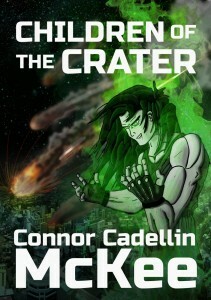 Children of the Crater as it is now called, is a book sitting on my shelf, with my name and the character I once sketched out on an airline napkin. It almost makes me wonder how many undiscovered worlds are out there, sitting in desk drawers. 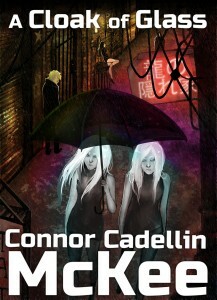 This entry was posted in Uncategorized and tagged book, Connor Cadellin Mckee, dark, novel on May 22, 2014 by simon.